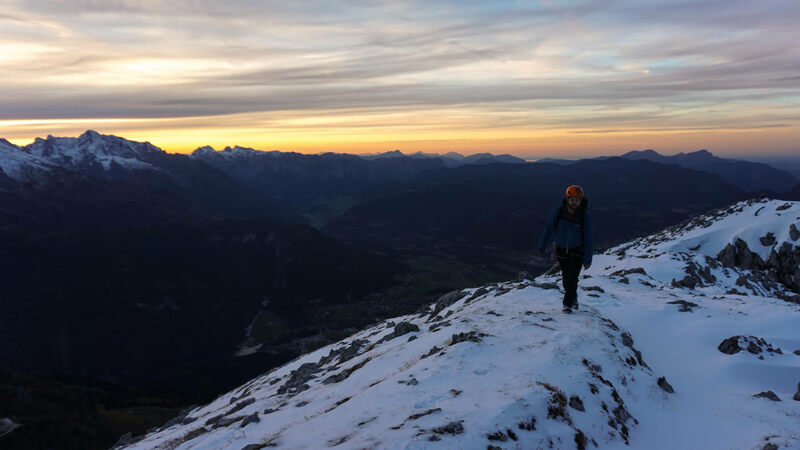 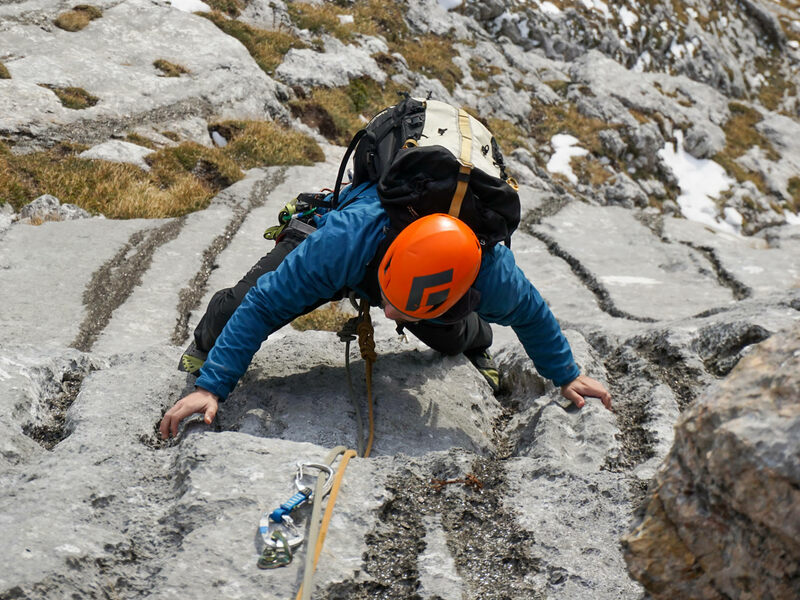 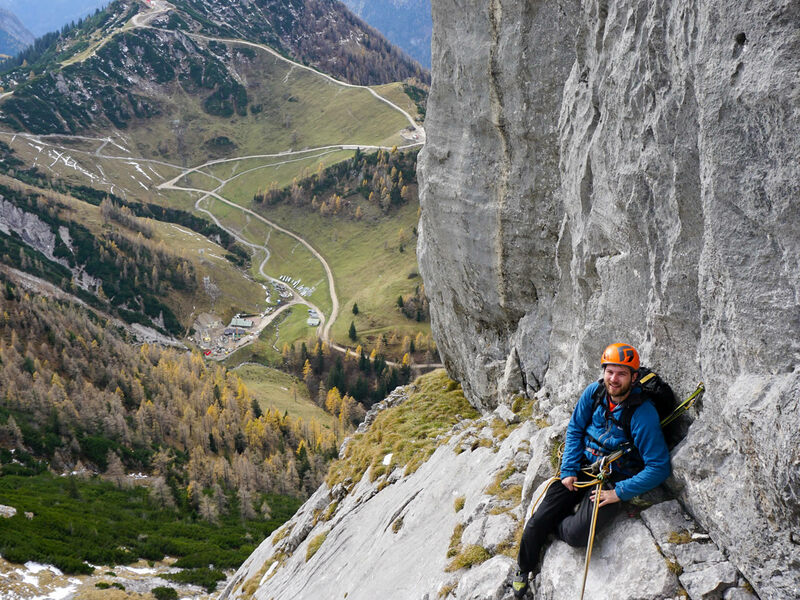 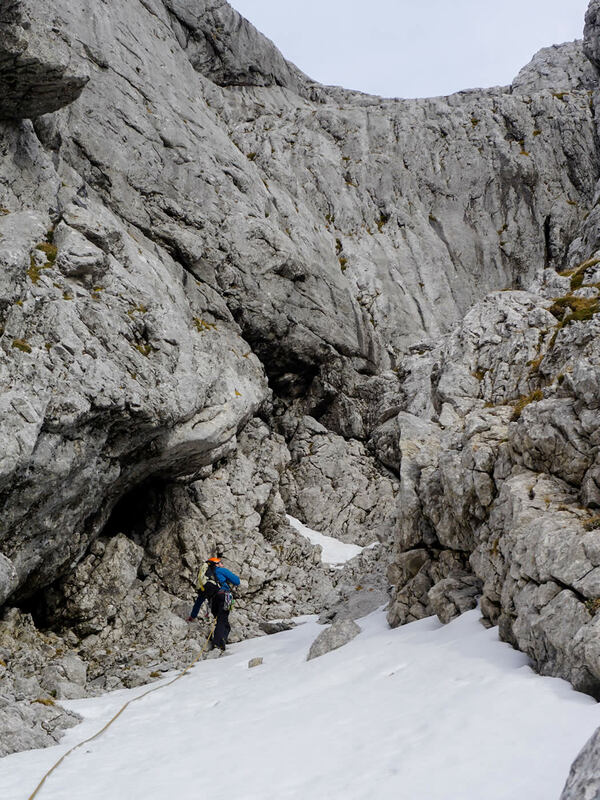 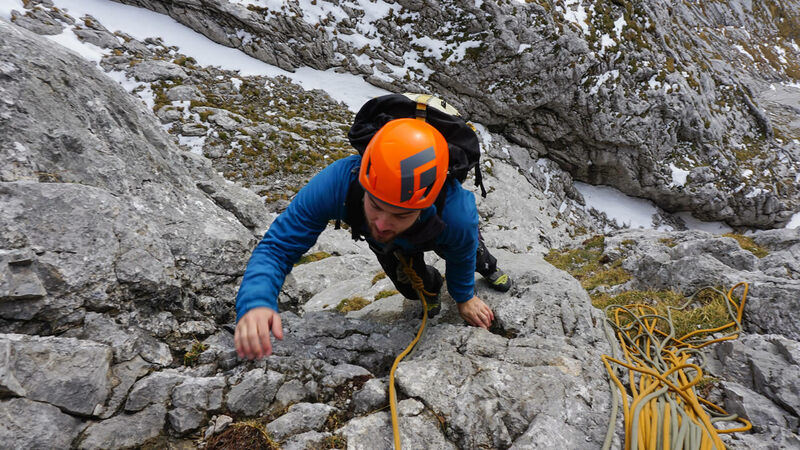 Steve and I were originally headed for Abenteuerland, a long multipitch on Göll in Berchtesgaden. 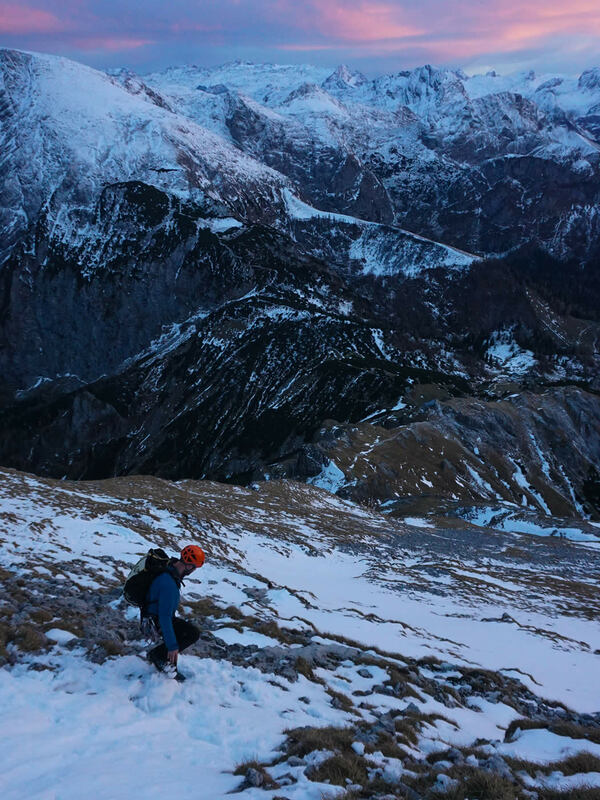 The VI route is famous for two pitches climbed through a cave in the mountain, but early season snow had filled them with a large ice pitch! 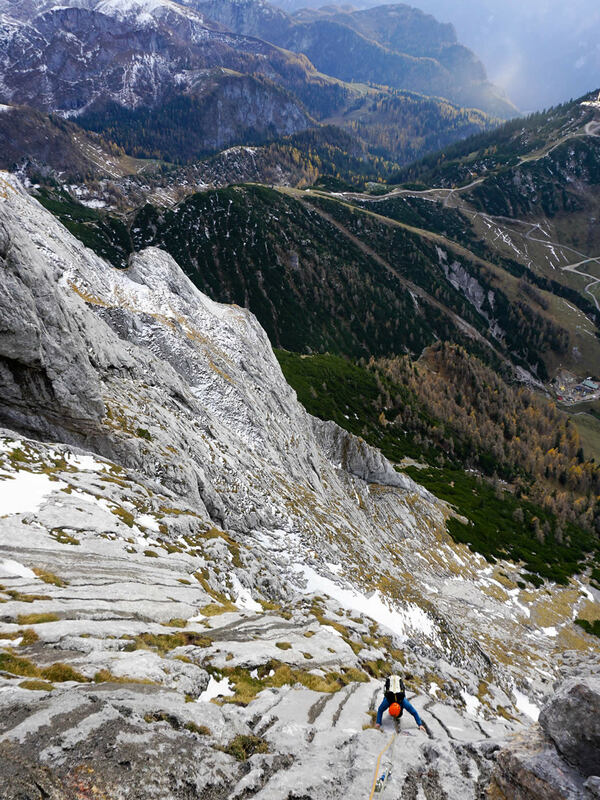 So we opted for Sommer Sonne Sonnenschein next to it, dodging the snow patches up 450m of limestone runnels.